Tropical Resort Living Reimagined! 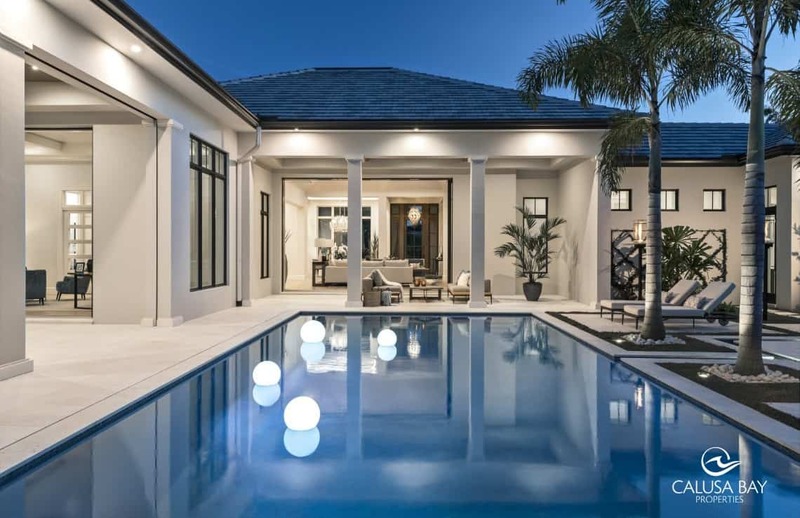 This stunning 2019 Rustic Contemporary Estate in the heart of Pelican Bay lives like your own private resort in Naples, Florida. 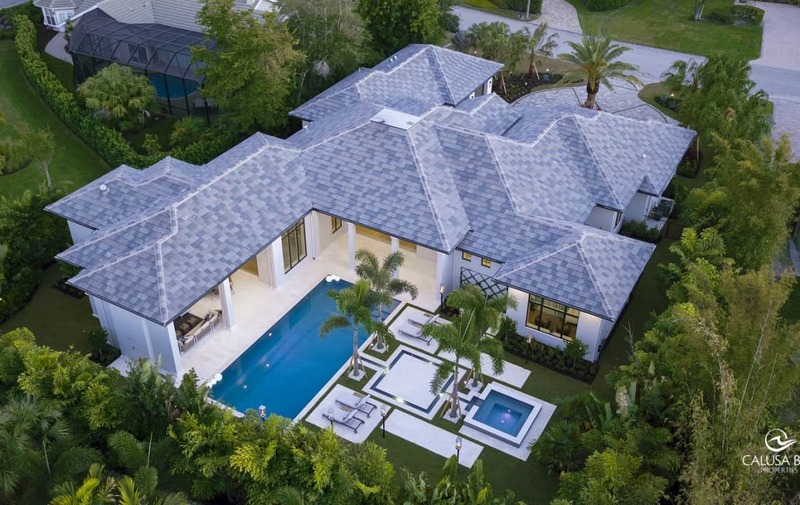 This new construction Pelican Bay home has extraordinary curb appeal, the architecturally inspired stone and wood exterior is perfectly complimented by lush mature tropical landscaping. A contemporary yet casual coastal interior vibe flows throughout. You will appreciate multiple feature walls, floor to ceiling windows, gorgeous custom cabinetry, chic designer furnishings… AND THAT POOL!! Two spacious outdoor living areas overlook a 50’ resort style pool, 8’ infinity spa, and gaslight tiki torches scattered throughout the backyard that light at the touch of a button… all nestled in a completely private backyard. Of all Naples real estate this is a true resort style home, featuring the most amazing outdoor living space that you will see this season. With over 4,600 sf under air, four en-suite bedrooms and a den, three living areas, a Chef’s kitchen with top-of-the-line appliances, pocketing sliding glass walls that integrate the indoor and outdoor living spaces, and much more. The attention to detail in this beautifully constructed home will exceed every expectation. 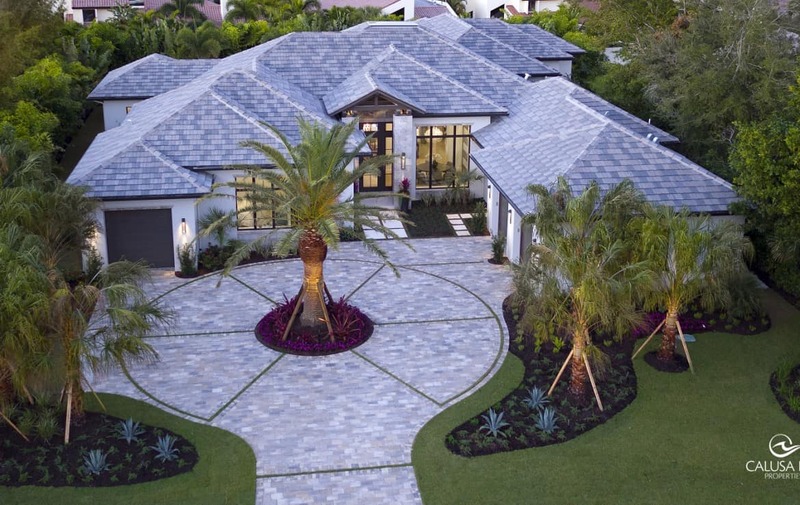 This one-of-a-kind Pelican Bay new construction home is situated on a half acre lot. Designer furniture package created by Calusa Bay Design available for separate purchase. Another notable feature of this brand new estate home is its’ close proximity to the best Naples, Florida has to offer – Just moments away from fine dining, upscale shopping, and entertainment offered at Waterside Shoppes, Artis-Naples, and Mercato. Take a stroll or a bike ride through Pelican Bay’s attractive tree-lined, professionally landscaped streets and you’ll find you are only minutes away from the Gulf of Mexico. Pelican Bay offers 3 miles of private sandy beach, 2 oceanfront beach clubs with dining, cocktails, and beach service; a competitive tennis program; paddle boards, kayaks, fitness center, and the brand-new Club Pelican Bay featuring three award winning restaurants, 27 holes of golf, member fitness center and spa. Pelican Bay is truly one-of-a-kind community, with an extensive list of amenities that are not found anywhere else in Naples, Florida west of US-41.